Never leave a child alone in a car. Temperatures can rise to above 100 degrees even if the ambient temperature is not high. The average rise in temperature is 3.2 degrees Fahrenheit every five minutes. Regardless of the ambient temperature, the average temperature in a parked vehicle becomes 117 degrees and is not significantly reduced by open windows (Study: Moderate Ambient Temperatures Cause Significant Temperature Rise in Enclosed Vehicles, American Academy of Pediatrics, 2005). A – Avoid heatstroke – never leave your child alone in a car not even for a minute. Make sure the car is locked when not in use so that children can’t enter on their own. C – Create reminders – a stuffed animal placed on the empty front seat can serve as a reminder that a child is in the car. T – Take action – If you see a child alone in a car call 911. One call can save a life. For more information, contact the Chambersburg Fire Department at 717-263-5872, or visit the Safe Kids Website at www.safekids.org. An emergency can happen at any time so preparedness is essential. Prepare your family for safety with a well thought out plan. Learn the types of disasters or emergencies that may likely occur in your area, such as fire, medical emergency, earthquake, or flood. Know how to protect yourself. Identify how to retrieve disaster information from local authorities, whether through local radio, TV or NOAA weather radio stations/channels. 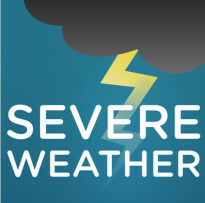 Know the difference between weather alerts such as watches and warnings and how to respond. Know what actions to take for protection during disasters that may occur in areas where you travel or have recently moved. Make sure that at least one member of your household is trained in first aid and CPR and knows how to use an Automated External Defibrillator. Family records and a list of important family information, i.e. medications, family physicians, etc. in a water and fire-proof container. Supply of water stored in a sealed, unbreakable container (one gallon per person per day). Identify the storage date and replace every six months. Supply of non-perishable packaged or canned food and a manual can opener. Change of clothing, rain gear, sturdy shoes, and an extra pair of glasses. Battery-powered radio, flashlight, and plenty of extra batteries. Credit cards, cash, and an extra set of car keys. Keep your vehicle full of gasoline. If the power goes out, fuel pumps do not work as well. A car kit includes a battery powered radio, flashlight, extra batteries, blanket, booster cables, fire extinguisher (5 lb – A-B-C type), first aid kit and manual, bottled water and non-perishable high energy foods such as granola bars, raisins, and peanut butter. In the event of a disaster, if you must evacuate, the most important thing you can do to protect your pets is to evacuate them too. If it’s not safe for you to stay behind, then it’s not safe to leave pets behind either. Make a list of boarding facilities and veterinarians who could shelter animals in an emergency. The Red Cross only allows service animals in disaster shelters. The ASPCA recommends a rescue sticker alert to identify pets in your home. Make sure it is visible, includes the type and number of pets, and your vet’s phone number. If a disaster occurs and time allows, write evacuated across the sticker(s) to aid rescue workers. 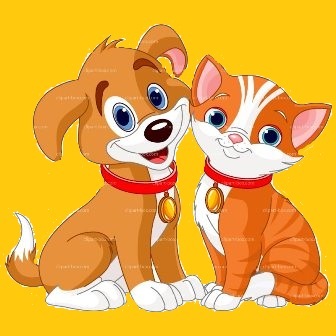 Prepare an emergency kit consisting of your pet’s essential supplies to include leash and harness, water bowl, food, medical records and medications, all in a sturdy container that is easily accessed and carried. 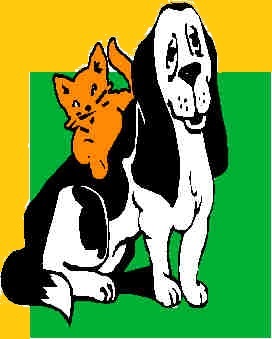 Please visit http://www.humanesociety.org/for more information that details preparation plans for your pet during a disaster. Your family can survive a major fire in your home if you have smoke detectors installed and maintained to alert you to the fire, can get out quickly with a practiced escape plan, and stay out. 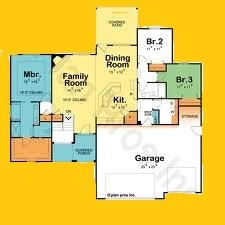 Your home floor plan identifies two ways out of every room, usually the door and window, with emphasis on sleeping areas. Make special arrangements for children, older adults, and those with disabilities. Everyone in the household must be familiar with these escape routes. Choose a specific place to meet right outside your home at a tree, mailbox or porch away from the fire to provide a head count for missing family members. One person should go to the nearest phone in a safe location to contact the fire department. Hold regular fire drills in your home at least twice a year, day and night, so everyone can practice a careful escape plan. Make your practice realistic by blocking some exits and using alternate escape routes. Make sure everyone in the household can unlock and open all doors and windows quickly, even in the dark. Make sure that all exit doors and windows are clear and accessible at all times. Sleep with the bedroom doors shut to prevent fire and poisonous gases from entering the room. This can also buy extra time if you get trapped. Immediately start your escape when the smoke alarm sounds. Do not try to gather possessions or pets. No possessions are worth your life! Check doors before opening them. Reach high and touch the door, knob and frame. If the door feels cool, open it with caution. If you see smoke or flames, slam the door shut. If the door is hot, use another escape route. Crawl on your hands and knees low under smoke keeping your head 12-24 inches above the floor. Smoke contains deadly gases, and heat rises; therefore, cleaner air will be near the floor during a fire. Make sure there is a safe way to reach the ground if you live in a two-story house and plan to escape from a second story window. Collapsible escape ladders are about $35-$40 in the hardware store. If you are trapped, close all doors between you and the fire. Use blankets or clothes to fill cracks around the door to keep out the smoke. Waive a light-colored cloth or flashlight at a window to signal for help. Dial 9-1-1 to report your location if there is a phone in the room. Once you escape, don’t go back for any reason. Heat and smoke of a fire are overpowering. Firefighters have the training, experience, and protective equipment that provide the best chance of rescuing people who are trapped. The American Red Cross provides the following safety information to aid families in emergency situations. Discuss how to prepare and respond to emergencies that commonly occur where you live, learn, work and play. 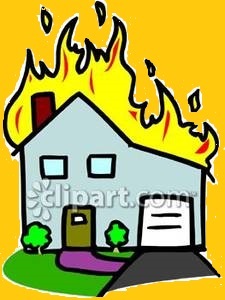 Choose a place to meet right outside your home in case of a sudden emergency, such as a fire. Choose another place to meet outside your neighborhood, in case you cannot return home or are asked to evacuate, i.e. friends, relatives, hotel/motel, or an evacuation shelter. Identify your route. Practice evacuating your home twice a year. When a major disaster occurs, your community can change in an instant. Loved ones may be hurt and emergency response is likely to be delayed. Make sure that at least one member of your household is trained in first aid and CPR and knows how to use an Automated External Defibrillator. Ask friends, relatives or others outside the affected area whether they could provide shelter for your animals. Prepare an emergency kit consisting of your pet’s essential supplies all in sturdy containers that are easily accessed and carried. Home accidents are one of the leading causes of death among children and injuries among adults. Set the hot water heater below 120 degrees Fahrenheit to avoid burns. If your hot-water heater does not have a thermostat, use a thermometer to check the water at the faucet. Do not use throw rugs at the top or bottom of a flight of stairs. Fix stair carpeting immediately when loose. It is very easy to slip on loose carpeting. Ensure handrails run the full length of a staircase. Someone may miss the last step by assuming that the stairs end where the handrail ends. If necessary, consider extending or replacing the handrail. Choose a step stool with a hand rail to hold when standing on the top step. Always make sure the step stool is fully open and steady before using. Install grab bars in the bathtub or shower to assist anyone in your home who is unsteady on his/her feet. To paint the basement stairs, either add a little sand to the paint for a better grip, or install rubber or abrasive treads. Paint the edges of outside steps white so they are easier to see in the dark or install outdoor lighting if the outside of your house is not well lit. Never keep a loaded gun in the house. The kitchen can be one of the most hazardous rooms in the home if safe cooking practices aren't followed. Loose clothing, especially hanging sleeves, is a recipe for serious injury or death. Do not walk away from a cooking pot on the stove or leave items that can catch fire. The leading cause of kitchen fires is unattended cooking. Stay in the kitchen when you are frying, grilling or broiling food. If you have to leave the kitchen, even for a short period of time, turn off the stove. Keep potholders, oven mitts, wooden utensils, paper or plastic bags, food packaging, towels or curtains away from your stovetop. Keep the stovetop, burners and oven clean. Keep pets off cooking surfaces and nearby countertops to prevent them from knocking things onto the burner or accidently turning the burners on. Young children are at high risk of being burned by hot food and liquids. Keep children away from cooking areas by enforcing a “kid-free zone” of three feet around the stove, where hot food is being prepared or carried. If children are in the kitchen, use the stove's back burners whenever possible. Never hold a child when cooking, drinking, or carrying hot foods or liquids. Teach children that hot things burn. When children get older, teach them to cook safely and supervise them closely. Cook only with equipment designed and intended for cooking. 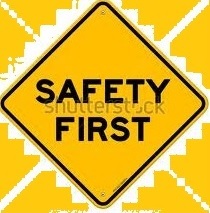 There is additional danger of fire, injury, or death if equipment is used for a purpose for which it was not intended. In the case of an oven fire, turn off the heat and keep the door closed to prevent flames from burning you or your clothing. If you have a fire in your microwave oven, turn it off immediately and keep the door closed. Never open the door until the fire is completely out. Unplug the appliance if you can safely reach the outlet. After a fire, both ovens and microwaves need checked and/or serviced before being used again. If your clothes catch on fire: stop, drop and roll. Stop immediately, drop to the ground and cover your face with your hands. Roll over and over or back and forth to put out the fire. Immediately soothe the burn with cool water for three to five minutes and cover with a clean, dry cloth. Do not apply creams, ointments, sprays or other home remedies. Carbon Monoxide is a gas that is undetectable by odor, taste, or color. The United States Fire Administration (USFA) identifies Carbon Monoxide (CO) as a silent killer that claims an average of 150 American lives every year. Improper use of a number of common appliances can cause a build-up of this deadly gas that can lead to poisoning and, at high levels, death. Leaks of this dangerous gas can occur in any household by using appliances or heating with natural gas, fuel oil, propane, or kerosene. 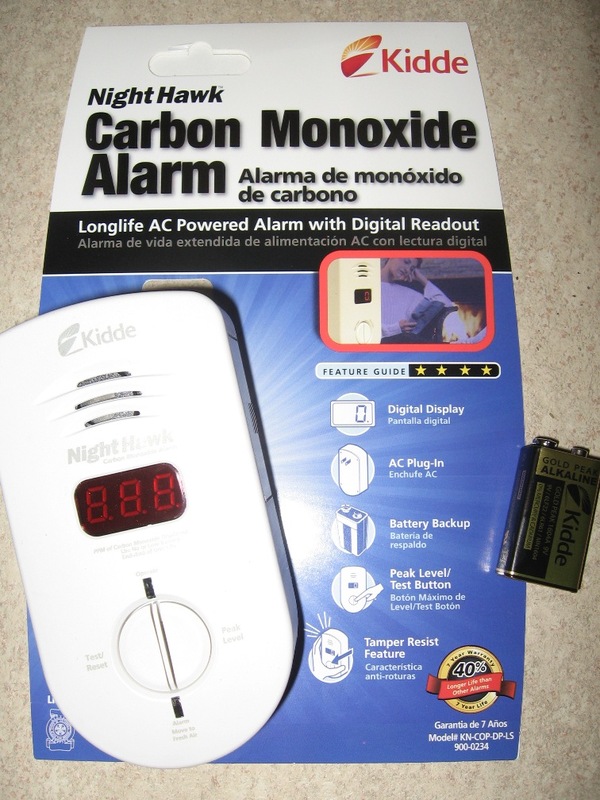 The installation of CO alarms helps to prevent carbon monoxide poisoning by alerting household members to the presence of high CO levels before damage occurs. It is imperative to recognize the symptoms of CO exposure before it is too late. Symptoms, per the United States Environmental Protection Agency (EPA), include fatigue and chest pains at low exposure levels that escalate to dizziness, loss of coordination, nausea, confusion, and headaches. Severe exposure renders the body unable to properly take in oxygen and results in a loss of brain function and eventual death. Fresh air is vital once these symptoms begin. All household members must exit the house immediately and evacuate all pets, notify the local fire department, and not re-enter the building until it is determined safe. These same symptoms mimic the flu; therefore, the presence of a CO alarm is vitally important since it will normally sound before symptoms progress beyond fatigue. Carbon Monoxide leaks from the improper use or maintenance of common household appliances, i.e. furnaces and other heating devices (except electric models); portable generators; gas water heaters, dryers, or stoves; and cars idling in a closed environment such as a garage. A blocked chimney flue is a common cause of CO in a building as many appliances vent through the chimney. The EPA states that it is important that combustion and heating devices (furnaces, etc) are properly adjusted and maintained, and chimney flues are not blocked, disconnected, or leaking. Attempting to heat a house using a stovetop or oven can generate dangerous levels of CO. Electric appliances will not create CO; however, using electric ovens for heating purposes still creates a fire hazard. It is vital to maintain appliances properly to avoid creating an unsafe situation, but complete effectiveness is not a guarantee. The installation of a Carbon Monoxide alarm is the best protection against CO poisoning. The USFA recommends an alarm that is tested in a recognized laboratory and confirmed with proper labeling. For your best protection, install carbon monoxide alarms on each floor with one in close proximity to the bedrooms. CO alarms can interconnect with installation by a registered electrician. If one alarm activates, ALL of the alarms sound throughout the residence increasing the chance for an immediate response. Every household member must recognize the difference between the sound of smoke and carbon monoxide alarms. The sound of the alarm horn requires your immediate attention and action. CO and smoke alarms are powered by battery or electric. In either case, the alarm functions only when a battery is in place. Test CO alarms monthly along with your smoke alarms. Replace batteries yearly or if you hear the unit “chirp.” Consult the manufacturer's instructions for more information on testing and battery replacement. Although carbon monoxide kills people every year and sickens many more, awareness is the key to preventing this from happening to you and your family. Proper maintenance and use of household appliances can nearly eliminate a hazardous leak from occurring, and installation of CO alarms will provide early warning if a problem arises. If you have questions about carbon monoxide alarms, contact your local fire department. If you live in the Borough of Chambersburg and have questions or would like to receive CO alarms for your home, contact the Chambersburg Fire Department at 263-5872. Think of Fire… Before it Happens! Smoke alarms are the first step to providing a fire safe home for you and your family. Statistics show that seventy (70%) percent of fire deaths in residences occur in homes without working smoke alarms. The number of fire fatalities in homes was reduced by fifty (50%) percent since the introduction of smoke alarms in the mid 1960's. The International Fire Code, used across Pennsylvania, requires smoke alarms in all residences and in the following areas: On every level of the home, including the basement, in every sleeping area, and outside of the sleeping areas. 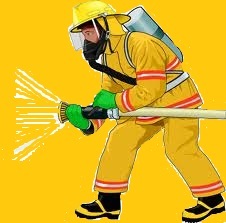 The majority of fire victims die from inhaling smoke. Smoke reduces visibility making it more difficult to escape. Smoke alarms are always on and monitoring the home for smoke. They give your family early warning of a fire allowing time to escape before smoke fills the home. Many options are available in all price ranges to provide this protection for your family. 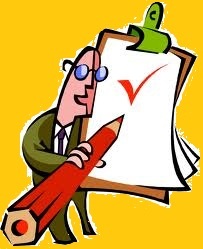 You should select the most comprehensive protection that you can afford. There are two basic types of smoke alarms: ionization and photoelectric. Ionization detectors are more rapid at detecting flaming, fast moving fires. Photoelectric detectors are fast at detecting smoldering, slow burning fires. Dual Sensor alarms contain both photoelectric and ionization detectors. The United States Fire Administration (USFA) recommends the dual sensor as the best choice, as it will quickly detect both types of fires. Smoke alarms are powered by electric, electric with battery backup, or battery only. Electric and electric with battery backup alarms require the services of a registered electrician to run the wiring and install the alarms. However, replacement of electric and electric battery alarms can normally be completed by the homeowner by unplugging the wiring harness from the old alarm and plugging it into the replacement alarm. Always follow the manufacturer's instructions. Battery powered alarms are easy to install requiring a drill and a screwdriver. Electric and electric with battery backup alarms can interconnect and are worth the expense of installation. In other words, if one alarm activates, ALL of the alarms sound throughout the residence. This gives an early warning of fire in remote parts of the house. Battery powered smoke alarms come in two varieties. The traditional alarm operates on a nine volt battery that must be replaced at least once a year. An alarm with a lithium battery can work for up to ten years with no battery replacement. The lithium battery is sealed in the unit, and you replace the entire unit when the battery fails or after ten years of service. All units with batteries, including the electric style, need tested monthly to ensure that the alarm is functioning. Battery powered alarms cannot interconnect. If your alarms operate on nine volt batteries, select a day that you will remember, such as a birthday or holiday, and change the battery. The fire service recommends that you change smoke alarm batteries when changing your clocks! The life span of a smoke alarm is eight to ten years; therefore, it needs replaced after this period of time, even if the alarm still sounds when the test button is depressed. Newer models have a date stamped on the back. If your smoke alarm is not date stamped, check the manufacturer's instructions for specifics regarding your model. The smoke alarm probably needs replaced. Each smoke alarm comes with a comprehensive set of instructions that specify where to install the alarm. Generally, the ceiling is the best place. Placing the unit high on the wall is a second choice. Smoke rises to ceiling level, then “mushrooms” back down towards the floor. Never place alarms in corners, near overhangs or bulkheads, or close to ceiling fans. The smoke will get to those areas last. 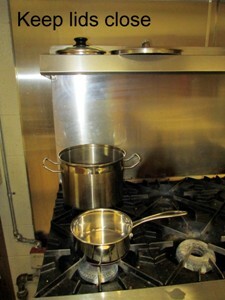 Alarms placed in bathrooms and kitchens will tend to activate more frequently due to steam and cooking smoke. 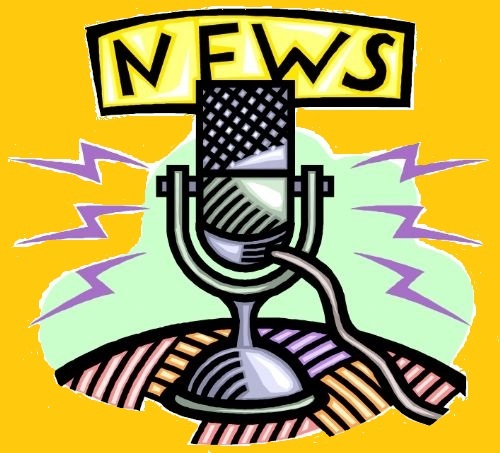 Some elderly suffer from significant hearing loss and cannot hear the alarm. This is sometimes complicated by the use of sleeping aids. Alarms are available with a flashing strobe or vibrating sensor that is placed under the pillow. Search on the internet for “smoke alarm with strobe” and “vibrating smoke alarm” to locate alarms appropriate for persons with hearing loss. Often, smoke alarms activate when someone burns toast or steam from the shower escapes into the hallway. NEVER remove the batteries or take the alarm down to silence the alarm. Wave a towel under the alarm to move the smoke or steam. Some newer models have a “hush” feature that will disable the alarm for a short period of time and then automatically restore the alarm to service. 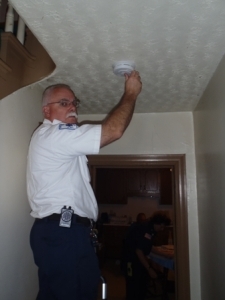 Smoke alarms need regular maintenance – testing, battery changes, and cleaning. The smoke alarm should be kept clear of dust. This should be done by dusting with a clean, dry cloth. Do not use cleaning sprays or water on the alarm; never paint or cover alarms with anything decorative; as this will cause impairments for smoke detection. Again, always read and refer to the manufacturer's instructions for the alarm even if those instructions differ from the information presented in this document. If you have questions about smoke alarms, contact your local fire department. If you live in the Borough of Chambersburg and have questions or would like to receive smoke alarms for your home, contact the Chambersburg Fire Department at 263-5872. The White Paper, published 2006 by the Public/Private Fire Safety Council, available on the USFA website. The Public/Private Fire Safety Council is a 16 member council of federal agencies and non-government organizations, created to develop a coordinated national effort to eliminate residential fire deaths by the year 2020.